“Start at the fire truck, then work your way back to your checkbook”. I’m guilty of using this phrase a lot, but it’s true. Why are you buying homeowners insurance (or for that matter, condo insurance, or renters insurance)? You buy it to protect yourself from the financial burden of losing your home (and everything in it) from a covered loss. So, take a leap of faith, put “price” aside for a moment, and focus on coverage first...then price. Don’t assume what you have is really “apples to apples”. Okay, so it seems like everyone’s quotes are identical. They all seem to have the same values for “Dwelling”, “Other Structures”, “Personal Property”, “Loss of Use” and “Liability”. But do they really match? Probably not. For instance; do all the quotes provide “special form” for personal property? How much will they cover for “back up of sewer and drain”?...identity theft?...Theft of Jewelry?...and on and on? You have to dig a little deeper into a policy to get these answers. Be wary of “hidden deductibles”. This is one of the areas some companies are manipulating to keep costs down, because the higher the deductible (for instance, $1,000 vs $500); the less expensive the policy. So what can you expect to see? First, there might be different deductibles for different types of losses. The policy might have a flat deductible for all losses except those caused by “wind and hail”. In fact, a number of companies are providing a deductible based on 1% or 2% of the dwelling amount when covering a wind or hail claim. For example, let’s say your home is insured for $250,000 and high winds damage your roof and siding one night. You think you have a $500 deductible, but in actuality, the fine print says you must pay a deducible of $2,500 ($250,000 x 1%)…OUCH! Read the proposals carefully. Saving $150 in premium now, could end up costing you thousands in deductibles later. Do you have replacement cost on everything? (Hint: There’s a chance you might not have it on your roof.) Another way some insurance companies are trying to save money is eliminating replacement cost on older roofs. This, again, usually involves wind and hail claims. Example: a severe hail storm completely destroys your roof. The cost to replace it is $8,000. But wait...your roof was 18 years old, and it had an expected life of 25 years. This means that 72% of the life of the roof had already been used. The company only wants to pay you $2,240 (less your deductible). Why? Because, they will only pay the actual cash value, or remaining life of the roof - 28% times $8,000…OUCH again! Let’s hope you don’t have a 1% deductible to boot…no wonder the policy was so cheap! Make sure you’re getting all the discounts. As a whole, insurance companies are offering a lot more discounts than they did in the past. However, each carrier will offer a different array of discounts. You want just a sample of what’s available? Here goes: multi-policy discount, age of roof discount, age of home discount, non-smoker discount, level of education discount, senior citizen group membership discount, alumni association discount, central station alarm discount, back- up generator discount, loss free discount,…and on and on. There are quite a few, and the more you qualify for, the better your rates can be. Let a licensed agent do the shopping for you. Why should you have an agent do the shopping for you? Well, were there any terms listed above that you didn’t understand? Can you easily differentiate between proposals? Are you unsure of what you need, or should expect in a policy? Guidance from an experienced and licensed agent is a good thing. An independent agent is even better, because he/she can research a number of different companies to find the best combination of price and coverage tailored to you. 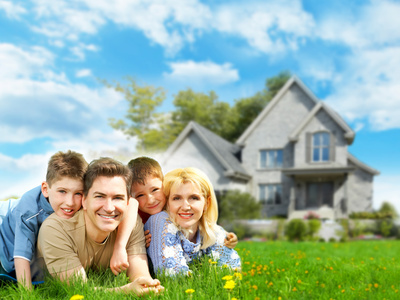 Finding the right homeowners insurance could be one of the most important purchasing decisions you ever make. Gaining knowledge and advice from trusted sources will “insure” your “insurance” is the best available. My husband and I are looking to buy our first home together so we have been researching different homeowners insurance policies. I think that it is really important to make sure that you know just what your policy is going to cover and how much it is going to cost every month. I have never thought about getting an agent to do the shopping for us, that would make things so much easier! Thanks for the tip!